IntraCorp (a division of CIGNA) offers case management programs to network members facing serious health challenges such as cancer, transplants, diabetes, and complicated pregnancies. CIGNA IntraCorp’s utilization management program, also reviews clinical appropriateness of health care services for its members. 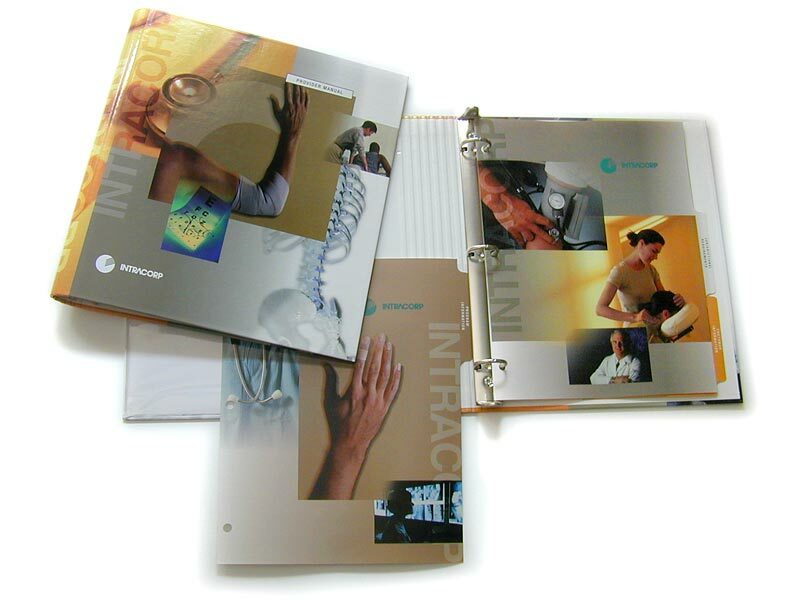 SHIRKWORX was given the assignment to create a binder/folder to contain collateral/reference materials for various CIGNA IntraCorp programs.